The Entertainment Software Association (ESA) recently published an article on the healing power of video games. 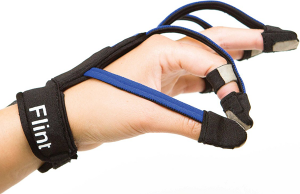 Motion-tracking video games are aiding stroke patients’ rehabilitation and are even helping some with long-term disabilities regain the use of their limbs. In the U.S. alone, nearly 800,000 people suffer a stroke every year – about one person every 40 seconds – and only 10% recover fully. For these victims, many of whom suffer disabilities and are faced with a long and challenging rehabilitation process, video games can be of great help. Everyone will agree that this is a terrific example of how video games can do so much more than entertain. But alas, if you are prone to addiction, video games can also pose a health threat. Last week the association for alcohol- and other drug related problems (VAD) announced they are preparing an educational packet informing people about the dangers of video game addiction, especially amongst teenagers. Starting from September, parents, schools and local leaders can call on various prevention workers to receive the educational packet. The announcement was met with strong reactions from the gaming community. Journalist Sam Feys, who writes about technology and media for DeMorgen, wrote an opinion piece in which he recommends parents to buy a second controller for their consoles so they can discover the positive effects of gaming together with their children and turn it into a meaningful social experience. The video game website 4gamers also published an article on the subject. 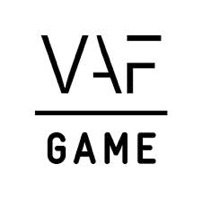 Instead of simply giving their reaction to the announcement, they contacted a representative from the VAD which resulted in an interesting interview on the campaign and the possible impact of games on people’s health.